The 45-square-metre luxury room features a king size bed and private balcony, with your choice of stunning views overlooking the pool or garden. 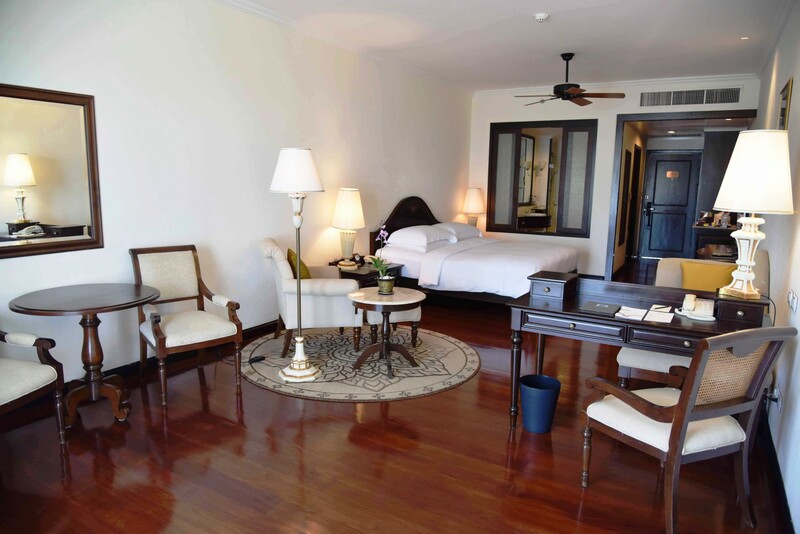 Tastefully decorated in a classic style with teak wood floors and furniture throughout, with a signature MyBed by Sofitel so you can enjoy a rejuvenating sleep, and beautiful décor. 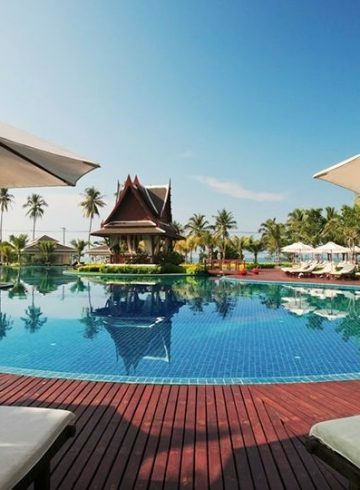 The Luxury rooms offer the perfect space to relax and enjoy an unforgettable stay in Krabi. 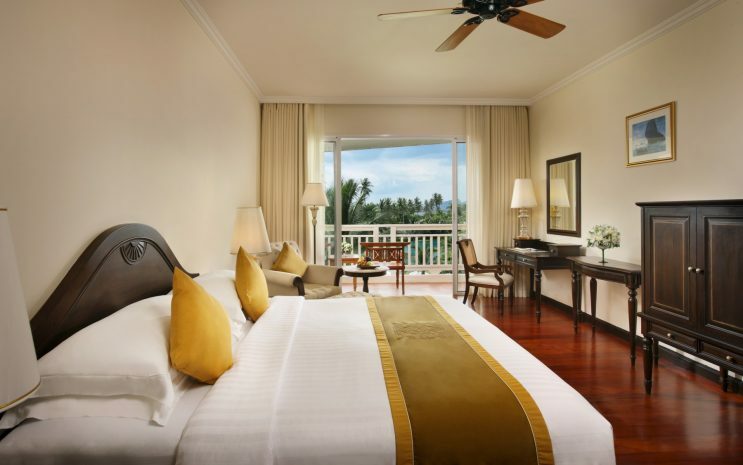 A large bathroom with a shower and bathtub includes thoughtful extras such as soft robes, slippers, and French toiletries.